The Lancet Commission on Obesity blamed a growth-focused sector for a system that gorges populations on empty calories while misusing land, energy and other resources. Without naming companies, the report released late Sunday called for restricting the industry -- led by multinationals such as Nestle, McDonald's and Coca-Cola -- from policy-related discussions. Three years in the making, the report echoed past indictments of sectors such as tobacco, alcohol, energy and firearms for using political clout to shape laws, policy and health guidelines. The 43-member panel pointed to food companies' lobbying prowess as a reason for nutrition recommendations that sometimes have run counter to scientific evidence. "Although food clearly differs from tobacco because it is a necessity to support human life, unhealthy food and beverages are not," William Dietz, a professor at George Washington University and one of the authors, said in a statement. "The similarities with Big Tobacco lie in the damage they induce and the behaviors of the corporations that profit from them." The beverage industry has responded and remains committed to the United Nations' call to improve public health with measures such offering lower- and no-calorie drinks, smaller packaging, and responsible marketing, the Washington-based International Council of Beverages Associations said in an emailed statement. It's "unfortunate that the authors of this article take a restrictive and exclusionary approach to broad problems," the industry group said. Coca-Cola said it backed the council's view. McDonald's and Nestle representatives declined to comment until they had seen the report. A separate report this month in the British Medical Journal said that an industry-backed group, the International Life Sciences Institute, gained "unparalleled access" to government officials in China over the past few decades and helped steer nutritional guidelines away from discouraging high-sugar drinks and food. While the impact on obesity can't be measured, "hard-hitting" dietary recommendations from the World Health Organization were missing from China's policies, according to the study by Susan Greenhalgh, a Harvard University anthropologist. The global rate of obesity almost tripled in the last four decades, with more than a third of the world's adults now in a weight range that increases risks of heart disease, cancer and other disorders, according to the WHO. Meanwhile, almost half of children under the age of 5 don't get needed nutrients -- mostly in low- and middle-income countries -- even as average weight increases. The same unsustainable approach to agriculture and food production that feeds both obesity and malnutrition also propels climate change, the Lancet report's authors said. "The coexistence of obesity and stunting in the same children in some countries is an urgent warning signal -- and both will be exacerbated by climate change," as changing weather patterns complicate food production, according to the statement. The group called for a treaty that would exclude the food and beverage industry from policy development, similar to the WHO's global conventions on tobacco. And because food production is one of the largest contributors to climate change, $5 trillion in U.S. government subsidies that currently flow toward big agriculture companies and fossil fuels should be directed to sustainable farming and transport instead, according to the report. "Their goal is profit; our goal is health," Dietz said in a telephone interview. "Food companies are trying to make the changes in the right direction, but when the choice becomes health versus profits, they choose profits." A framework treaty would particularly help smaller governments, who might too easily be "bullied by commercial interests," said Tim Lobstein, policy director at the World Obesity Federation. 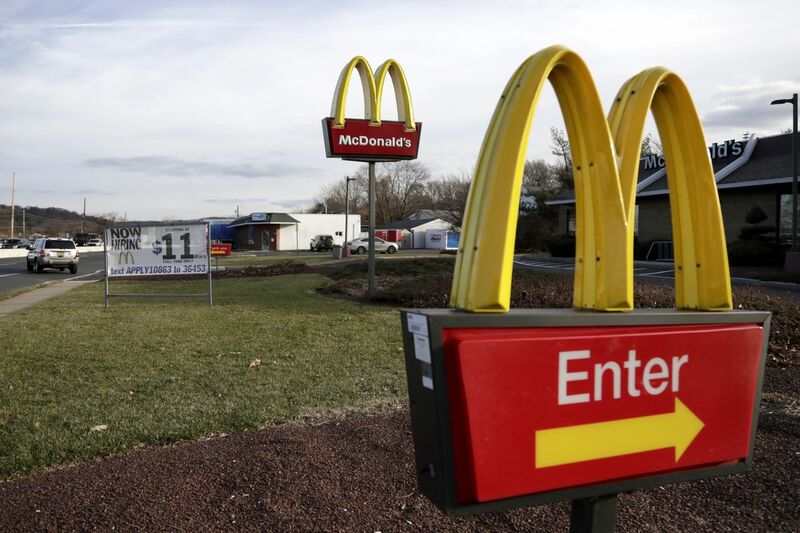 The food and beverage industry, which includes fast-food chains and soft-drink makers, had U.S. lobbying expenditures of $22 million last year, according to the nonprofit Center for Responsive Politics. The industry has been involved in issues like nutritional requirements, labeling information, and advertising, the organization says. Dietz argues that a middle ground exists and calls for alternative business models for the 21st century -- combining sustainability and profits. Food and beverage giants have already been shifting toward healthier products and have been cutting fat and sodium levels. Some firms have also committed to reducing plastic packaging and carbon emissions. The commission acknowledges it's a David versus Goliath battle, and that change will require a social movement at a local and country level before it can reach global scale. Convincing consumers would be the first step.